NOS Tioga 'Hot Tips' Toe Strap Ends. Post subject: NOS Tioga 'Hot Tips' Toe Strap Ends. £5 via PayPal friends and family per bike pair posted second class to the UK. Other payment options, postage options and locations negotiable. Post your colour requirement on here so I have a clear pecking order if people want the same colour. 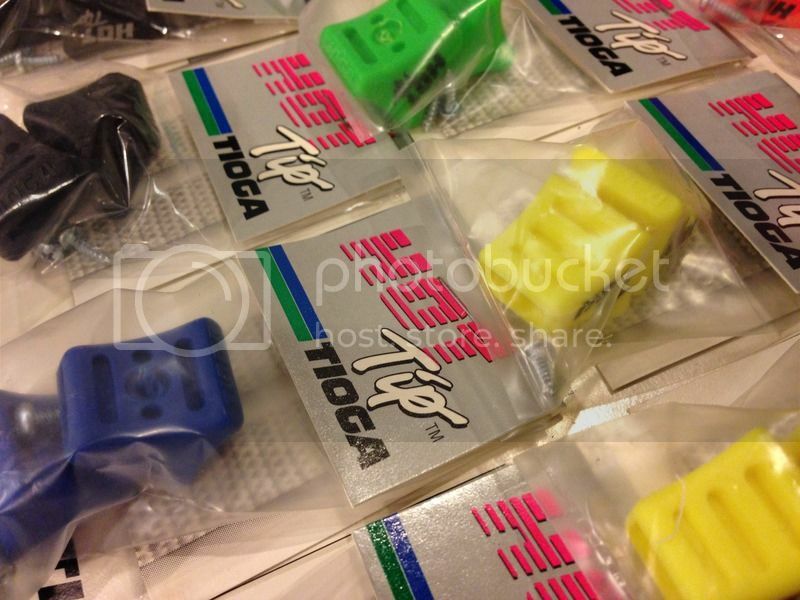 Post subject: Re: NOS Tioga 'Hot Tips' Toe Strap Ends. Hi there, could i have 1 neon orange, and 1 neon yellow please. Snap... can i also have 1 neon orange, and 1 neon yellow please.